Square Box Systems’ flagship media asset management system, CatDV, accelerates collaborative media asset management operations and empowers small-, medium-, and large-scale enterprises to repurpose and monetize millions of assets with more efficiency. CatDV will have the spotlight in stand 7.J38 at IBC2017, where Square Box Systems will showcase new versions and enhancements including support for new platforms, environments, and operating systems. Delivering firepower for collaborative enterprise deployments, the CatDV Enterprise Server 7.2 now includes configuration options, as well as enhanced support for web and intranet deployments. New features include a live logger, frame-accurate video playback, dynamic sub-clip trimming and download, and sharing of groups of clips. In addition, CatDV’s Web 2.2 client brings views to life with derived values and colored metadata highlighting — great for review, online or archived status. A range of additional organization tools are also provided, such as creation and renaming of catalogs, moving assets, and new drag-and-drop capabilities. Further, a new Professional Web Client offers a source and record rough-cut editor and full-screen user interface reflecting installed options with Server 7.2. Other features include web-based system administration and a REST administration API, as well as many core improvements, including more robust notifications, support for larger customer deployments, centralized path mapping, more efficient search tools, and a fully customized user interface for different users. At IBC2017, Square Box Systems will showcase Worker 7, the company’s new workflow automation solution for CatDV MAM deployments. With full support for Linux, Windows and Mac environments, Worker 7 makes CatDV an option for large-scale enterprise users that need to manage huge volumes of assets in virtualized or cloud environments. Redesigned to run as a service for enterprise-scale deployments, Worker 7 can be monitored remotely, and it has a new graphical user interface for workflow design and configuration. Also on display will be several new plugins for Worker 7, including a file path cleaner, archivers for S3, Azure, and Black Pearl, and a new analyzer for PDF, Word, Excel, and PowerPoint files. Square Box Systems will highlight CatDV 12, the latest version of the company’s MAM system. A step forward in the ongoing evolution of the CatDV product line, CatDV 12 features an updated and streamlined user experience along with native support for Square Box Systems’ recently introduced Server 7. In addition, CatDV 12 now includes enhanced support for audio files, offering an advanced waveform display, VU meters, and the ability to handle more audio tracks. 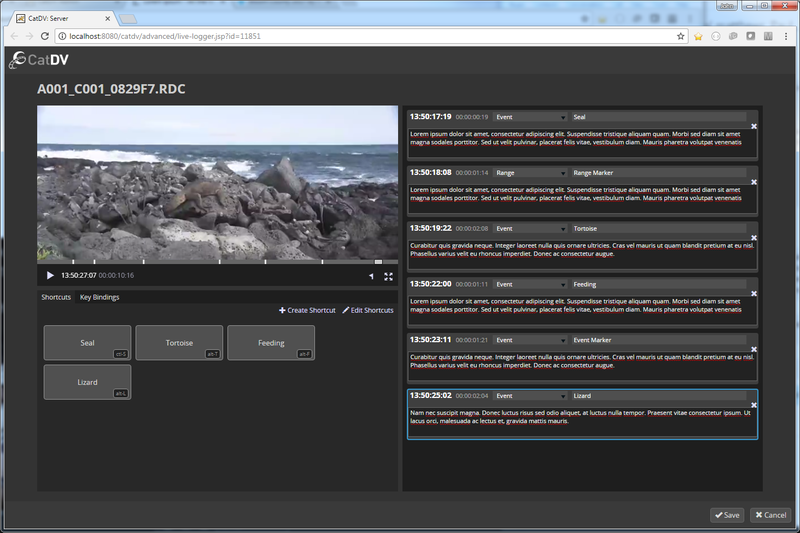 The system’s logging and ingest capabilities have been updated, and CatDV 12 is now able to operate independent of specialized video players. With support for large installations, CatDV features a 64-bit architecture and a robust playback engine that natively supports the latest broadcast and camera formats. 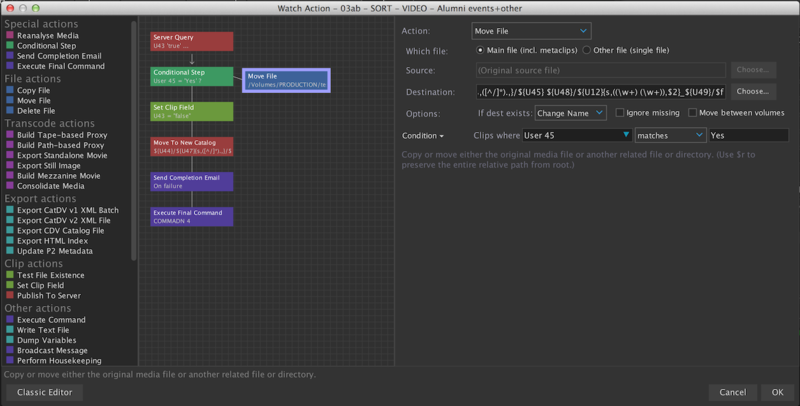 Square Box will show the new Advanced version of its Adobe Premiere Panel, designed for Adobe Creative Cloud users. 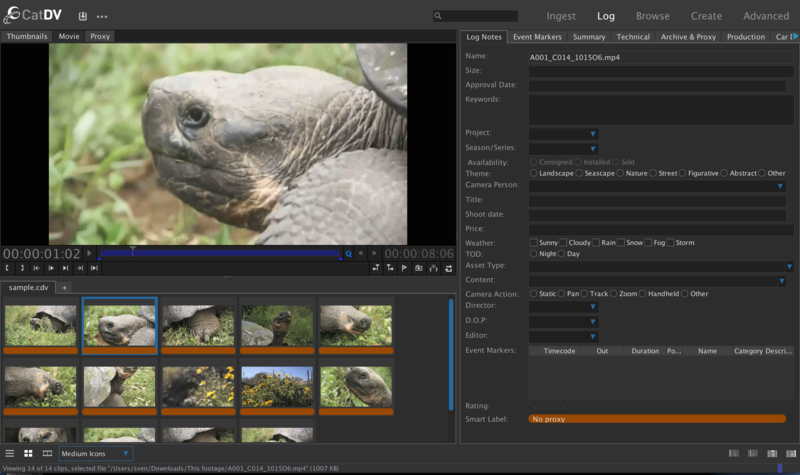 The original Adobe Premiere Panel enables any CatDV user to log in and search the CatDV database, and also browse production groups and catalogs, from within Adobe Premiere. The new Advanced version offers enhancements, including keyboard navigation, quick previews, and a robust user interface that presents media, a player, and metadata all within the same panel. 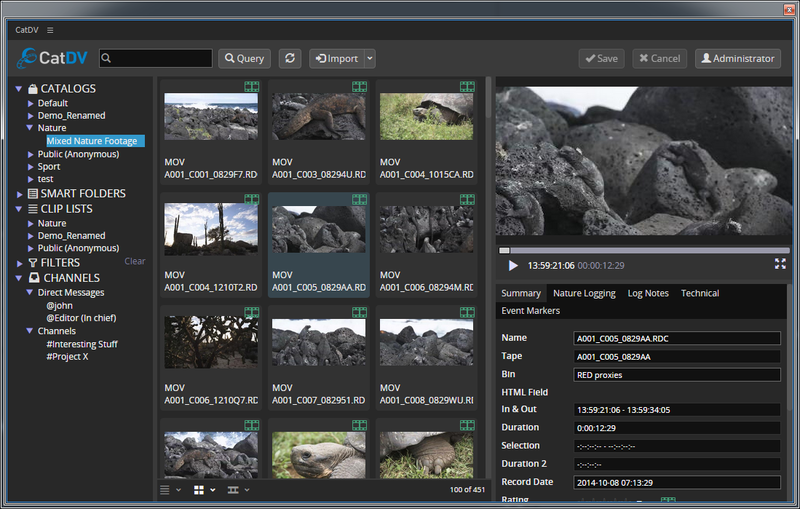 Other new tools include a frame-accurate player, the ability to update metadata (for example, to kick off a restore from an archive), and the capability to handle more metadata fields when exporting content to Premiere. The CatDV Pegasus Server enables super-fast Google-style searches across millions of assets and includes support for Oracle and Microsoft SQL Server databases. At IBC2017, Square Box Systems will highlight the enhanced security, flexibility, and sophisticated asset usage analytics and reporting, plus audit capabilities, now available in the latest version of the CatDV Pegasus Server.